Yesterday was a short drive across the Mississippi into southern Illinois for a visit at the headquarters of State Farm in Bloomington, Illinois. 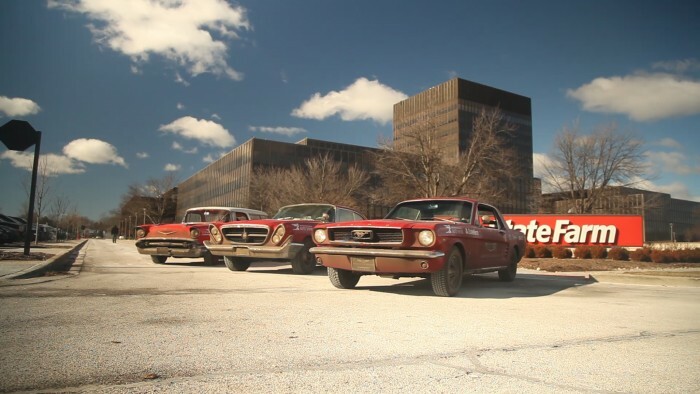 We were excited by the visit for State Farm has been the Presenting Sponsor of America’s Car Museum for ten years now! We positioned the caravan for photo opportunities in front of State Farm headquarters and took time for lunch with our friend and State Farm liaison Tamara Harvell who then led us to the US Cellular Coliseum where State Farm had arranged a media and enthusiast event that afternoon, it was nice to be in out of the cold. 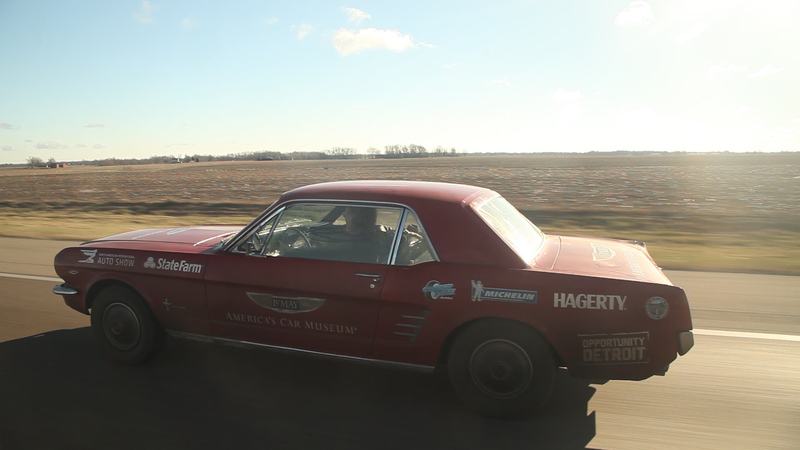 One man drove his 1960 Chrysler 300 the 150 miles from Chicago to join us and will join us again for our two Chicago events. Several others were climbing in, under and around the cars and engaged in enthusiastic dialogue with us about them. All wanted to share their personal stories about their cars and a few parents brought some enthusiastic children along including a 13 year old who was so excited to sit behind the wheel in the Mustang and told me it is his dream to have one some day as his mom took our photo. Today it is on to Chicago for events tonight and tomorrow before driving the final leg to Michigan!